Did you know that almost the entire United States is prone to earthquakes? The West Coast of the U.S. is especially prone with nearly a 70% chance likelihood of a 6.7 earthquake or larger. The East, a 40-60% chance and the Midwest has a 40%+ chance! 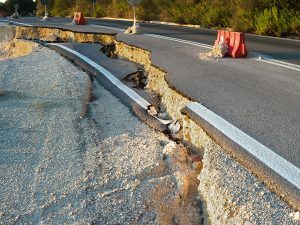 Earthquake insurance is a form of property insurance that pays the policyholder in the event of an earthquake that causes damage to the property. The typical homeowner’s insurance policy does not cover earthquake loss. To learn more about what earthquake insurance covers, and what isn’t covered, please call our offices today at 206-542-3195 for a free, no obligation quote.